At the age of 13 he discovered that music, especially electronic music, was the first priority in his life. Started as a radio producer (his radio show was hosted by the biggest dance radio station of Athens). Later he produced a TV show presenting music and video clips from the techno scene and worked in dance music magazines. At the same time, as a techno DJ he played at Athens clubs and Greek dance festivals. As a producer, he started releasing music on UK-based Hydrophonic Recordings and soon his production skills made him key member of Marco Bailey's family with releases on a handful of other labels. 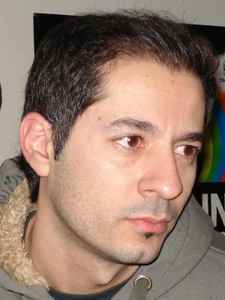 In 2005 he created his own imprint Omega Audio Recordings together with his partner for many years Axel Karakasis.